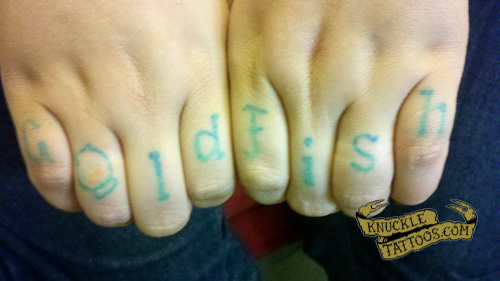 Here are my knuckle tats after their first and second sessions. I work a lot with my hands so I’m healing them in sections… My knocks are a two-fold homage to ‘The Outsiders’ as well as a nod to Bring Me the Horizon’s song ‘Diamonds Aren’t Forever’ line “Throw your diamonds in the sky, we’ll stay gold forever”. 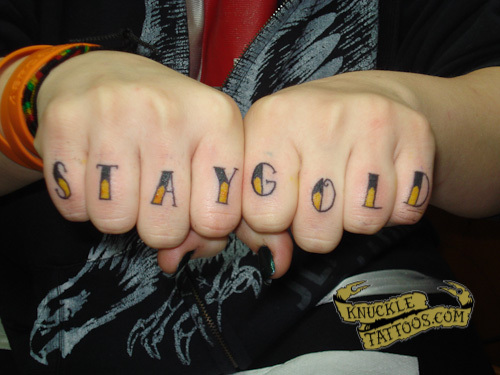 My knuckles are me, I can never deny myself, and if I stay gold… I might just leave a mark and “live forever”. Well i really wanted to tattoo my knuckles since i already have lots of stuff done, it only felt natural to make this step. Stay Gold; Not conforming to what society dictates, but in a sense marching to the beat of your own drum. Which fits perfectly to me, and how i live my life.